Liqui Group is a highly creative, multifaceted and award-winning British design practice, based in London and Brighton. Founded as Liqui Design in 2007 by furniture designer and maker Cameron Fry, the company has enjoyed extraordinary growth. Today, Liqui Group (Liqui) comprises: Liqui Design (interior design), Liqui Contracts (contract furniture and lighting), Liqui Associates (architectural consultancy) and Crate47 (branding agency). A key part of Liqui’s success lies in its ability to operate globally while maintaining a truly artisanal, ‘Made in Britain’ ethos and approach. Liqui values simple, honest and functional design: using sustainable materials, combining traditional craftsmanship with modern innovation, design is long-lasting and aesthetically pleasing. With a focus on both product and spatial design, Liqui’s knowledge of materials and manufacturing techniques is prodigious. Liqui has an array of clever, made-to-order furniture and lighting designs, including sofas, chairs and tables, pendants, work lamps and floor lamps. Lovingly built by accomplished British craftsmen, every piece is duly constructed with consideration for manufacturing processes, materials used, appearance and longevity. The finish of any product may be contract-grade, but the actual aesthetic is domestic. With an eye on creating many of tomorrow’s design classics, Liqui’s design-led furniture and lighting, made for the commercial sector, would fit just as well in any contemporary home. Liqui’s motto ‘because things can be different’ is a heartfelt truism and one expressed in the quality of the materials used—wood and fabric are sustainably sourced from British suppliers and manufacturers. Liqui is especially keen to promote traditional British crafts, many of which are disappearing, and employs heavy-duty seamstresses, woodturners and frame makers. Cameron Fry observes: "It's important to me because I’ve witnessed all these old crafts starting to die out… I want to do everything I can to keep these trades going because they are still very much needed". Across the commercial sector, there is a growing demand for high quality, sustainable furniture and lighting. More and more, companies are desirous of design that is environmentally-friendly and built to last. With Britain’s proud history of manufacturing excellence, Liqui’s contract furniture and lighting is manufactured in-house by Liqui Contracts, with a clear emphasis on quality, precision and efficiency. More than just designing and making contract furniture and lighting, Liqui is building an enviable reputation in the fields of interior design, events and exhibition design, architectural consultancy and branding. Specialisms include: office, restaurant, coffee shop and retail design, branded and sponsored events, web design, photography and marketing. As a leading coffee shop design agency, Liqui has created a number of imaginative coffee shop spaces across the Middle East. Most recently, it completed the interior design of a flagship coffee shop and roastery for Brew92, located in Al Khayyat, Jeddah, Saudi Arabia. Liqui’s second coffee shop for the company (the first was completed in 2017), the space sports a fresh, inventive combination of materials, colours and Liqui’s own furniture and lighting designs. 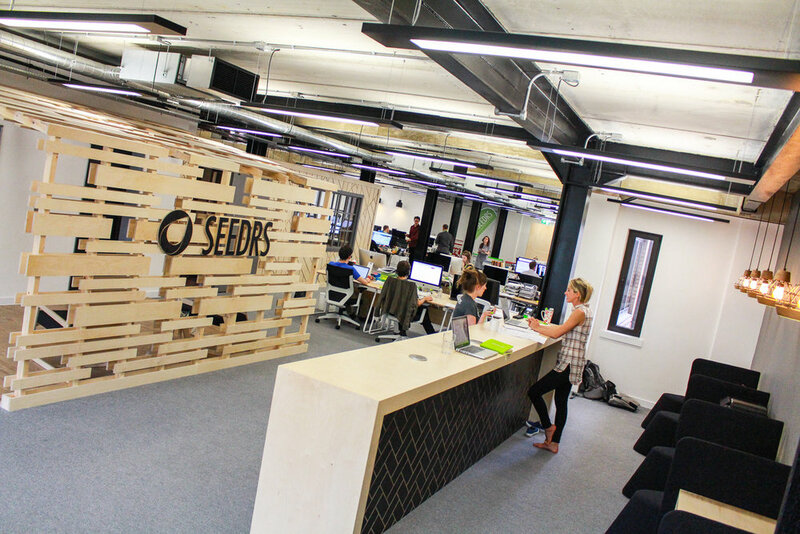 In 2016, Liqui developed and delivered a full concept project—from design to fit-out—for the London headquarters of Seedrs (an equity crowdfunding enterprise). With its Scandinavian-inspired interior and distinctive features (for instance, the reception area’s birch ply canopy), the office was envisioned to reflect Seedrs’ collaborative nature. In 2016, Liqui completed what is described as a ‘coffee lover’s paradise’ for Beanberry Coffee Shop, in London’s Kingston upon Thames. Reflecting the shop’s high quality coffee offer, Liqui featured a prominent and practical coffee counter, with an eye-catching geometric pattern. Several years ago, the London Coffee Festival tasked Liqui with the job of consolidating its brand image and user experience. Liqui incorporated a variety of cost-effective furniture, lighting and stand elements for smaller exhibitors; for larger brands, individual, bespoke stands were made. Liqui also designed and built additional event and social spaces (such as the competition area and VIP lounge). 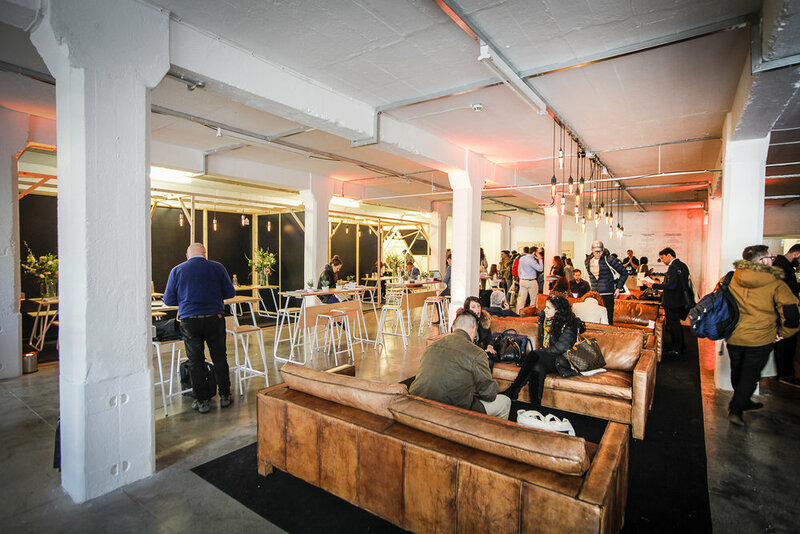 Today, Liqui continues to work with the London Coffee Festival.